FORT LAUDERDALE, Florida, January 7, 2011 (ENS) – The federal government is looking for landowners in the Everglades headwaters area willing to sell land to the federal government for conservation easements that will protect an area of streams, lakes, wilderness and ranch lands north of Lake Okeechobee. “The partnerships being formed would protect and improve water quality north of Lake Okeechobee, restore wetlands, and connect existing conservation lands and important wildlife corridors to support the greater Everglades restoration effort,” Salazar said. 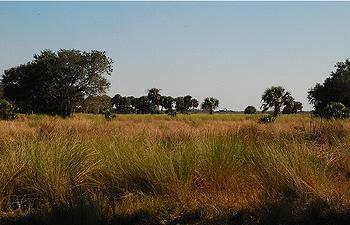 The Service, along with its partners, is conducting a preliminary study to establish a new National Wildlife Refuge and Conservation Area of 150,000 acres of important environmental and cultural landscapes in the Kissimmee River Valley south of Orlando in central Florida. The proposed area includes 50,000 acres for potential purchase, and an additional 100,000 acres that could be protected through conservation easements and cooperative agreements, keeping the land in private ownership. The Service will only work with willing sellers to purchase land rights. 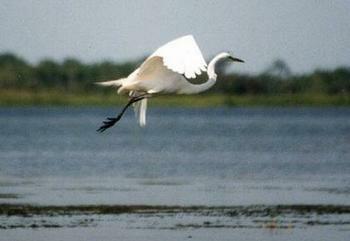 In addition to improving water quality, the proposed conservation area and refuge would protect habitat for 88 federal and state species listed as threatened or endangered, including the Florida panther, Florida black bear, whooping crane, Everglade snail kite and the Eastern indigo snake. It will also link to about 690,000 acres of partner-conserved lands. The proposal will be front and center this weekend at the annual Everglades Coalition conference in Weston, where environmentalists and elected officials will discuss progress on Everglades restoration. Secretary Salazar, Senator Nelson and former Governor Bob Graham will be in attendance. The South Florida Water Management District is one of more than a dozen partners working on the proposed refuge and conservation area. SFWMD Governing Board Vice Chairman Jerry Montgomery today applauded the “bold” proposal. Combined with last year’s federal investment to conserve 26,000 acres in the Northern Everglades, this effort builds on the momentum to deliver water quality improvements, water storage and environmental restoration benefiting all Floridians,” said Montgomery. Other partners working together through the Greater Everglades Partnership Initiative include, the Florida Department of Agricultural and Consumer Services; Florida Department of Environmental Protection; Florida Division of State Lands; Florida Fish and Wildlife Conservation Commission; Osceola County Parks Division; the National Wildlife Refuge Association; The Nature Conservancy; U.S. Air Force – Avon Park Air Force Range; and the U.S. Department of Agriculture’s Natural Resource Conservation Service. Their efforts are part of a larger conservation effort across south-central Florida. A final plan for the Everglades Headwaters proposal is expected by the end of this year.